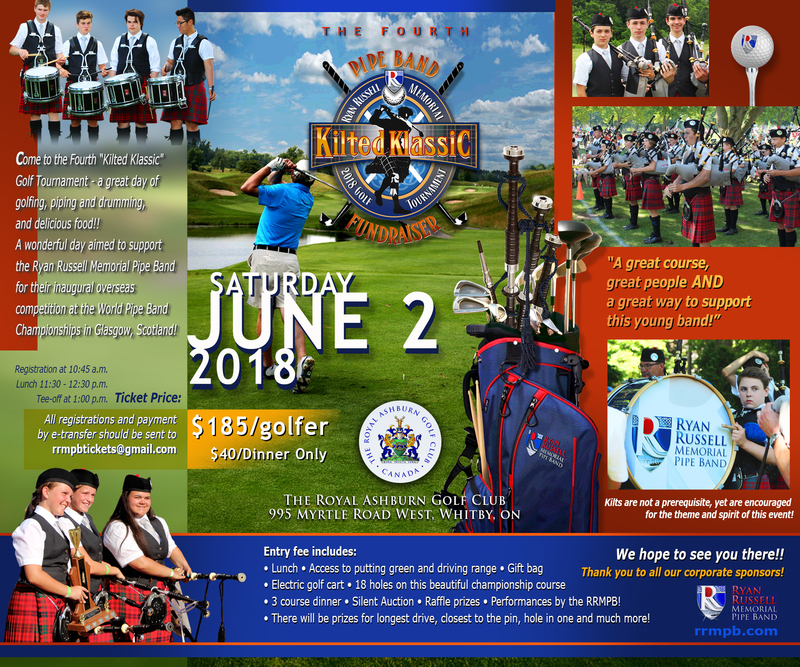 The “Kilted Klassic” Returns June 2, 2018! Please join us for the 4th “Kilted Klassic” Fund-Raising Golf Tournament for the Ryan Russell Memorial Pipe Band! 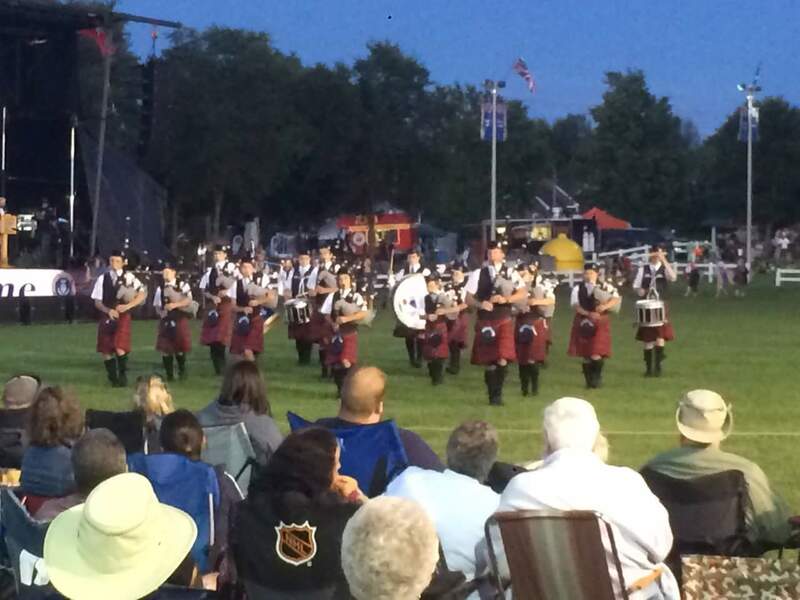 Our goal for this year’s tournament is to raise $15,000 for the band, which will ensure its future into 2018-19 and see this young band take the field in Scotland at the World Pipe Band Championships for the very first time. And lots of camaraderie with our Pipe Band community. We are looking forward to seeing you at this great day of golf. So please spread the word to your golfing friends and family, gather your foursome, and register your names by emailing rrmpbtickets@gmail.com. We even accept payment by e-transfer to this address to make things easy and convenient for you. The ‘Ceilidh’ Was A Success! 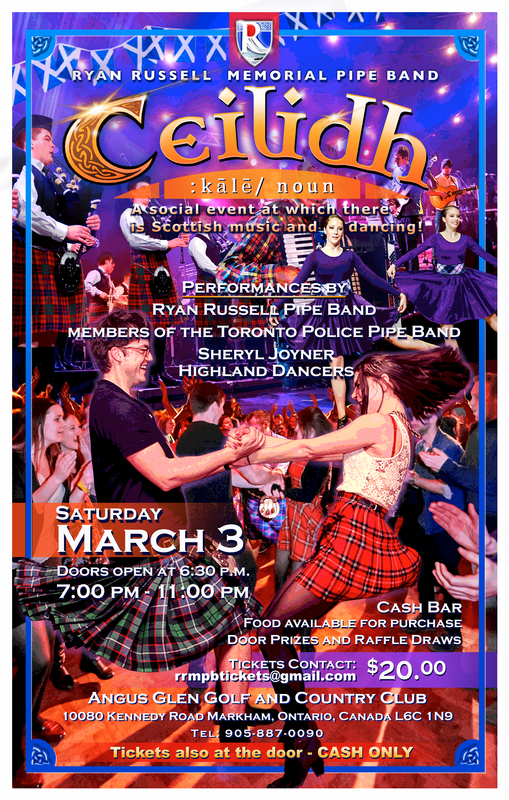 The Ryan Russell Memorial Pipe Band would like to thank all the people for coming to the Ceilidh the evening of March 3, 2018. 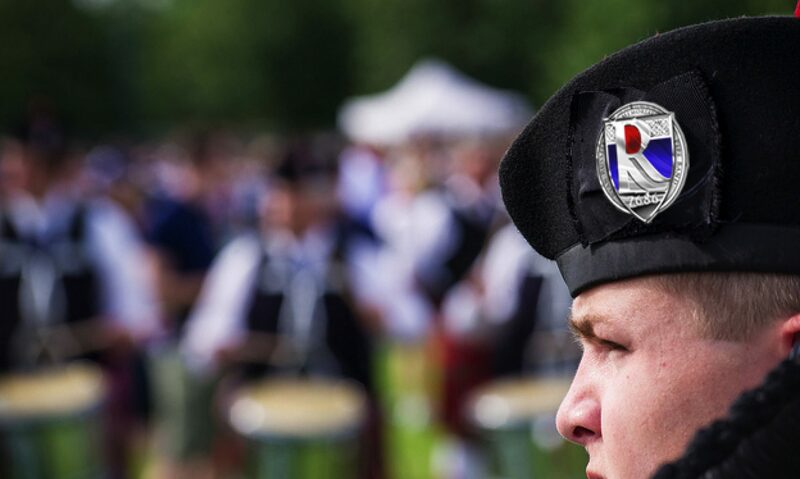 With everyone’s support and generosity, we were able to raise just under $8,000.00 for the bands trip this August to the World Pipe Band Championships – Glasgow, Scotland. A huge thank you goes out to Glenn Healy who MC’d the event!! Extra special thank you to all the people who donated prizes which helped the band with it’s fundraiser. And, a final thank you for all that people who donated their time and efforts to make this event enjoyable and successful event. Thank you again, for a great event!!! 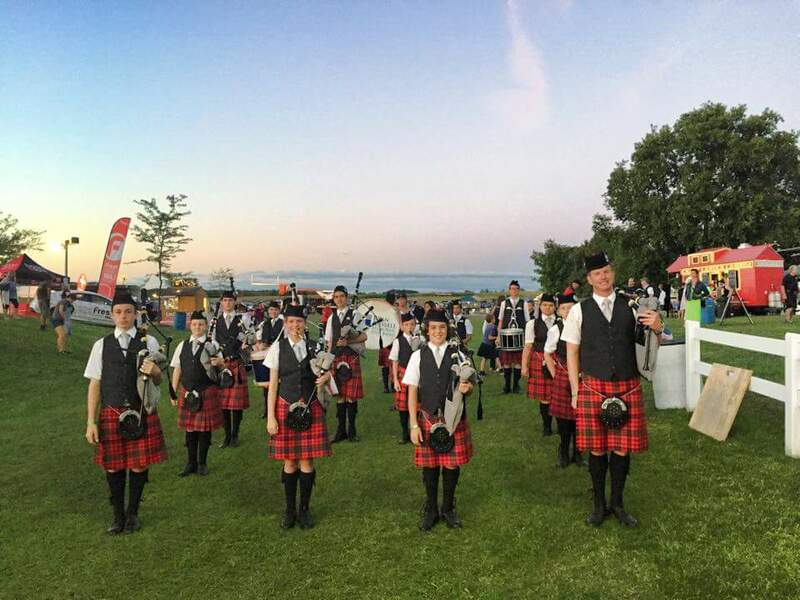 Ryan Russell Memorial Pipe Band – Ceilidh – Event Sold Out!! Thanks for the great support!! A Social Event of Scottish Music and Dancing!! Event Sold Out!! – Thanks for the great support!! The band had a great time performing in the games tattoo on Friday night. Smart looking bunch!